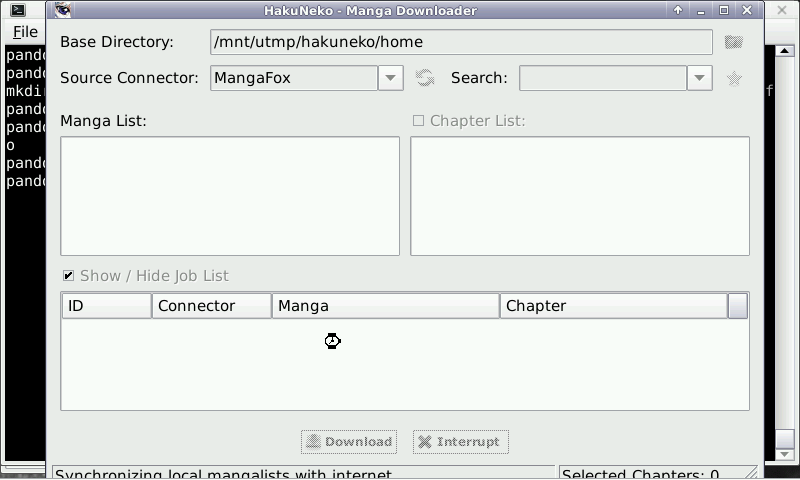 HakuNeko allows you to download manga images from some selected online manga reader websites. The application is build for linux and windows, and now OpenPandora too. It's best paired with comix (here: http://repo.openpandora.org/?page=detail&app=hdonk.comix) to read downloaded Mangas. My tests worked eventually. It just took me a minute to reval the part of the GUI I was looking for. 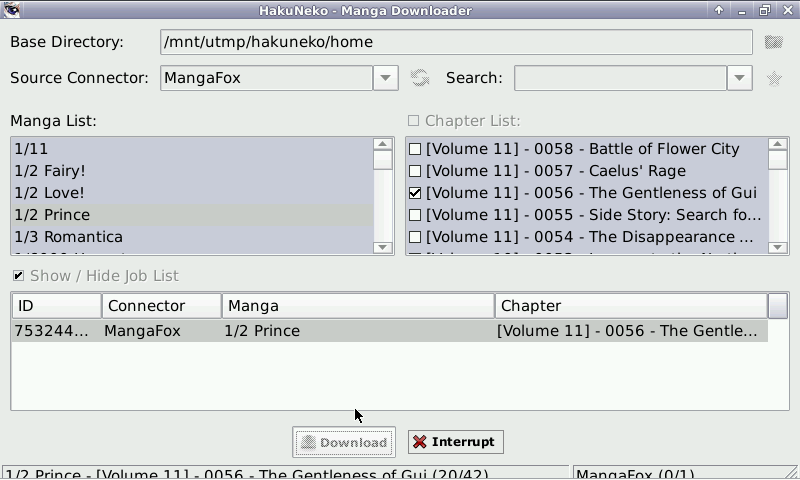 Downloads worked just fine and the downloaded manga is easily read in PIV. Thanks! Yes, it worked with no issue. Any relevant info in the /tmp/pndrun_hakuneko.out file? I'll try to do more testing on my CC pandora. OK, I understand for the GUI now. I tried a few though and downloads still do not work in the new version. Did you manage to download anything in your tests? Yes the GUI has changed, you need to hide the job list to have the Download button. I will add this important change in the What's new (it's not a change from me).